All Hallows began the holiday season, and the time has come for a gabbing about “Horror Rock” or “Shock Rock” as it’s come to be known in the modern musical arena. A genre that feeds a jaded 21st century public always looking for new jolts to the central nervous system, Shock Rock’s birth is rooted in two artists that many millennial music fans are unaware of. 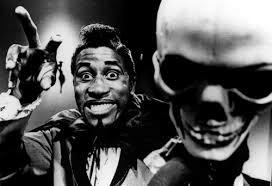 Cleveland, Ohio native Jalacy Hawkins was a reared in the mode of a classical pianist, and hoped to be an opera singer in the mold of Paul Robeson.However, fate had different plans for the howling hellhound that would come to be known as Screamin’ Jay Hawkins. Joining the army at age 15 during WWII, Hawkins’ traumatic experiences in the Pacific Theatre would subtly shape the dark tones of his future musical career. Taken a prisoner of war by the Japanese soon after beginning his tour of duty, Hawkins would later recall suffering tortures of the damned by his captors. Although never substantiated, he claimed once liberated at the end of the war, Pvt. Jalacy H. put a grenade in a Japanese colonel’s mouth and pulled the pin. This would become one of the many outlandish tales he would tell that blurred the line between fact and fiction for the rest of his life. Postwar Hawkins would continue to hone boxing skills learned in the army to become a middleweight champion in Alaska. After playing piano and guitar with Tiny Grimes and Fats Domino he struck out on his solo career, starting to put together his wild image with leopard skin and red leather outfits. His now iconic song “I Put a Spell on You“(1956) was recorded with he and his bandmates in such a state of inebriation, they had to listen to it sober to remember how the tune went. Hawkins stage act became more unhinged as time went on; he would brandish a cane with a skull on the end named “Henry”, flashpot explosions were frequent, and he began to emerge from a coffin at the beginning of every performance. Even with high profile appearances on the Merv Griffin Show, fame in Screamin’ Jay’s native country would elude him throughout most of the late 1960’s and 70’s. European audiences were much more receptive, and Hawkins spent most of the two decades living in Paris. The 1980’s heralded a huge interest in Screamin’Jay due to the revival of “I Put a Spell on You” in Jim Jarmusch‘s film “Stranger Than Paradise.” A collaboration with 80’s garage legends The Gruesomes followed. Hawkins soon found himself touring America to wildly appreciative audiences, cementing his cult status for years to come. With appearances in many movies, late night television talk shows and collaborations with well known musicians, Screamin’ Jay rode a wave of popularity that lasted until his untimely demise in 2000. The fact that he left behind a supposed brood of 57 children only adds a wild, bizarre, and virile musical legend that lasts to this day. 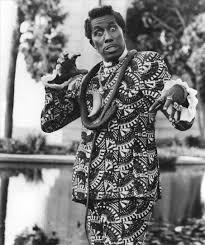 An unofficial pupil of Screamin’ Jay Hawkins, David Edward Sutch “3rd Lord of Harrow”, would put his mark on music history in 1960’s Britain with his one and only influential hit “Jack the Ripper.” Because the song has been covered more times and by more bands than people familiar with Screaming Lord Sutch, one feels compelled to talk about other aspects of his musical and performance legacy. Screamin’ Jay was a huge influence on Sutch , obviously using his first name and imitating his coffin entrance trick (Although he would accidentally get locked inside the casket more than once.) His confrontational style of performance included sinister Jack the Ripper style outfits, decapitating and burning teen idols of the day in effigy, and most importantly: assaulting the audience by grabbing them and screaming in their faces. 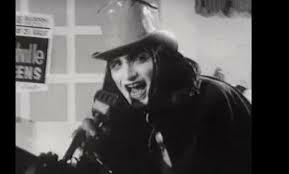 In perhaps his most insane stunt, Sutch started his political campaign:”The Raving Loony Monster Party.” Never really getting any votes in Parliament, he nonetheless contributed to many charities including a free milk program for underprivileged school children. 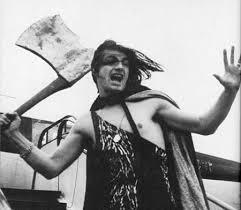 At the twilight of the 1960’s Sutch’s place in the public eye began to wane, and despite recording the album “Lord Sutch and Heavy Friends” (with such rock luminaries as Jimmy Page, John Bonham, Jeff Beck, and Noel Redding,) it was critically lambasted with him still being seen as a novelty act. As the Seventies and Eighties pressed on, Sutch became something of a court jester in Britain’s public and political court of opinion, taking on a drunken shambles of an image not dissimilar to fellow souse Oliver Reed. Goofy appearances on talk shows, sitcom cameos, and a Heineken beer commercial only served to show a desperate attempt to stay somewhat visible in pop culture however he could. Unfortunately, after a lifelong bout with manic depression, Sutch would commit suicide in 1999, a year before his idol Screamin’ Jay would expire. It would seem that David Sutch’s contribution to rock music would be very minimal, but one had to consider that along with “Louie Louie” “Jack the Ripper” is a three chord wonder that many bands cut their teeth on when first learning to play. 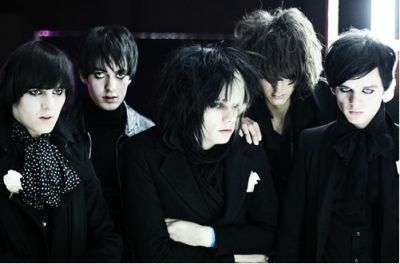 The song has been covered by everyone from The Fall to The Revillos and more recently The White Stripes, Black Lips and The Horrors to name a few. It is certain that even in ten years time, some novice band somewhere will be pounding out “Jack the Ripper” as one their baby steps in playing rock music. Today the influences of these two cult giants and their stage antics can be seen to have touched several generations of rock artists. Starting in the Seventies with Alice Cooper, Kiss, and The Cramps, and moving into the Eighties and beyond with such acts as The Plasmatics, The Misfits, Gwar, Marilyn Manson, and others too numerous to mention.